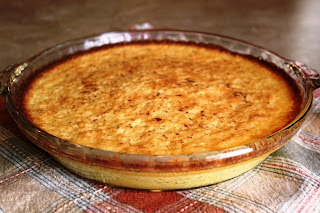 Jungle Red Writers: Me oh my, buttermilk pie! Me oh my, buttermilk pie! HALLIE EPHRON: I love buttermilk. It's liquid sour cream without the guilt. 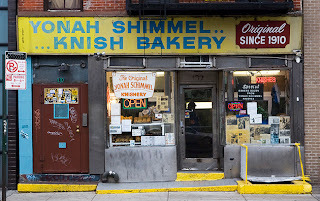 My first encounter with real buttermilk was at Yonah Schimmel's Knish Bakery on Houston Street in Manhattan. The place still there, though I don't know if their fabulous knishes and the buttermilk still come up from the basement in a dumb waiter. 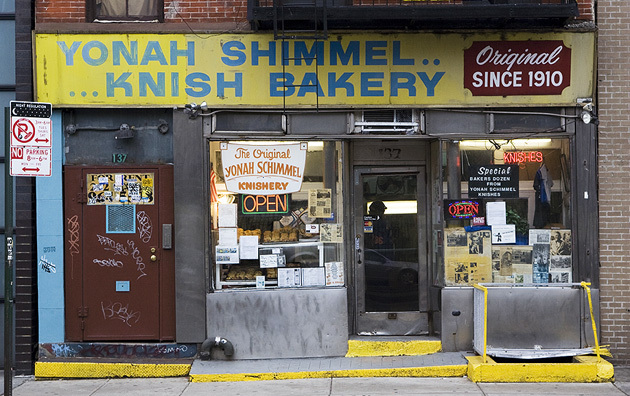 The combination of that sweet/savory knish with the tang of buttermilk is unbeatable. Low fat that tastes incredibly creamy and rich. On Sunday, there was an article in the New York Times all about Kate's, an outfit that produces butter from an operation in a garage in Orchard Beach, Maine. The article said: "Kate’s produces more than a million pounds of butter a year, all from the same tiny garage. And last year, the company became the first large-scale bottler of a dairy product that has almost disappeared from American tables: real buttermilk, the creamy liquid that remains in the churn after the butter comes together." When I was going off on Facebook about how I love buttermilk and where oh where can I find Kate's buttermilk (turns out right around the corner at my local Shaw's), author Sharon Short, author of the wonderful forthcoming novel, "My One Square Inch of Alaska" (coming out in January; now available for pre-order in both print and as an e-book on Amazon, Barnes & Noble and IndieBound), piped up and asked if I wanted her buttermilk pie recipe. SHARON SHORT: OK, here's the story behind the recipe. We used to have a grocery called "Woody's" in our area that also featured the Over the Road Restaurant. It was called that because it was literally built in a walkway over the road between the grocery's parking lot and the grocery, so one could have lunch/dinner and look through the big windows down on the traffic driving below. The food was good-home-cooking--hot shots, meat loaf, friend chicken, and all manner of pies, including buttermilk. This was the first and only place I've ever seen buttermilk pie on the menu. Tried it, fell in love with it. (Sweet but tangy, like buttermilk... although I do not like buttermilk to drink!) Alas, the restaurant and grocery went out of business and were torn down. I am a lover of pie, especially diner pies, and Dot's Corner Cafe is a diner important to the story of MY ONE SQUARE INCH OF ALASKA. Combine sugar and flour. Add beaten eggs, buttermilk, melted butter, and vanilla extract. Beat together (by hand or with mixer) until smooth. Pour into pie crust. Sprinkle with nutmeg. Bake at 350-degrees (F) for 35 minutes, or until pie filling is firm like a pudding/creme pie. (Protect pie crust rim with aluminum foil near end if needed.) Let pie cool and set before slicing. Yummy as is or topped with blackberries, raspberries or strawberries. HALLIE: Does that look easy or what? I'm off to Shaw's to buy real buttermilk, because all the rest of the ingredients I already have. And some little alpine strawberries from my garden. Mmmm. Do you have a relationship with buttermilk or any other old-timey ingredient that's hard to get? I use Kate's butter and buttermilk all the time...can't wait to try this pie! Fun! Sounds delicious, as does Sharon's book. I've been making a cold cucumber-dill-buttermilk soup since I learned it from a woman I housecleaned for during my college years. In fact I made it Thursday for dinner after I had a little oral surgery and it was perfect: cool, liquid, non-crunchy, with garden organic cucumber! Oh my. That looks delish. I think I'll be right behind you in the store, buying buttermilk. I love the Over the Road restaurant. Just think of all the crimes you could see! That is a beautiful book cover and great title. Makes me want to run out and buy/read it, which I guess I will do! My mother loves buttermilk, and she was always happiest when she had an excuse to make German chocolate cake, so she could drink the extra buttermilk. Always with pepper sprinkled in it, of course. I've never gotten into it, myself, although buttermilk pancakes are a special treat at our house. Nope, nope nope. Chicken fat, buttermilk, large curd cottage cheese. Fun to read this, though! Coming up next week! Lisa Unger, debut smash Susan Boyer, Joanna Slan (with Jane Eyre as detective!) And much much more..
A very dear neighbor,deceased for many years now, from my childhood neighborhood - she and her husband were the godparents of one of my sisters - made a delicious buttermilk coffee cake. The recipe has been in our family almost since we met her. I used to occasonally make it for bake sales. It has a wonderful crunchy nut topping. Another of my sisters sometimes makes it for her students. Thier moms often ask for the recipe,because the kids go home raving about Mrs F's coffee cake! I am thinking that I should make it as soon as the weather cools down in honor of our dear friend Mary! Okay...BAD thumb typing--should be THEIR moms, not THIER...Sorry! And I can't wait to try Sharon's pie recipe! This recipe reminds me of real, homemade custard, in our house made from a passed-down family recipe that was old when my grandmother would make it for us. Ultra-simple, no fancy ingredients, but, oh, so good. [Stir together four cups scalded milk, four eggs, three-fourths of a cup of sugar, and one-quarter teaspoon of salt. Pour the custard mixture through a mesh strainer into individual custard cups. Sprinkle the top of the custard with nutmeg and a dash of cinnamon. Bake in a hot water bath --- the hot water needs to come halfway up the side of the custard cups --- at 400 degrees for thirty-five minutes or so, until the custard is set and a knife test is clean.] Simply heavenly! I cannot bring myself to drink buttermilk but I always love anything that's been baked with it. I'm going to give this pie a try, Sharon. And your book sounds a delight! I'm going to give it a try too. Summer isn't summer without at least one cold glass of buttermilk, just as summer isn't summer without real strawberry shortcake. We are all slaves of our childhood. In this case, it's a good thing. Oh, and Hallie, by the way, I'm making meat loaf for dinner. It's finally cooled off enough here to use the oven. I'm so excited. Wouldn't drink it ever, but I love to bake with it. Makes great biscuits, bread, and especially buttermilk pies. It's also good for soaking chicken before rolling in flour to fry it. Don't have Kate's in our area, but we have good good national brands--like Borden's. Lucy--let me know how you like the pie! Edith--thank you for your comment about my upcoming book! Your cucumber-dill-buttermilk soup sounds so refreshing... now I'm yearning for THAT recipe! Ramona--we have many great memories of the Over the Road restaurant. Have to admit, I've been asking myself since I wrote this post... why HAVEN'T I used it in a book? 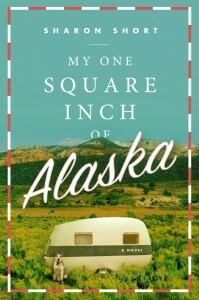 And thank you for the comments about ALASKA's cover and title! I'm so very excited about this novel. Karen--I've never tried buttermilk with pepper. I'll have to give that a whirl... I love pepper so much that my mom-in-law used to call me The Pepper Girl (lovingly, of course.) Hank--maybe the pepper mitigates the fat? Hah! Deb--that coffee cake sounds heavenly! Let me know what you think of the buttermilk pie. Joan--I'm going to try the custard! Jerry--strawberries are great on the pie, which is, in my humble opinion, an awesome platform for fruit. Okay, I confess. I have a neighbor with Brown Swiss cows so I get milk every week, and make my own dairy stuff. Butter, buttermilk, creme fraiche, sour cream, yogurt, farmer's cheese, mozzarella, and even other cheeses.I use cultures from New England Cheesemaking Supply. I know you're all impressed! Hahaha. However, I have not tried buttermilk pie, so thanks for the recipe. It'll be a good thing for Saturday tea. I will try to get through Captcha now, but I have to tell you - I cannot SEE two words. Jeff--steal away! I'm glad you like my recipes enough to use them. Sharon, this buttermild pie sounds so good! And so does your book. I'll have to try both. Dani, I'm so envious. A neighbor with Brown Swiss cows! I'm such a dairy nut that I'm swooning over the possibilities. Debs, I'm with you. It's suddenly cool enough to use the oven again, so there will be lots of baking going on here. Oh, heck! Captcha is raising the bar. It's giving me two photos plus the weird word. And I can't quite tell what's in the first photo. This is going to be interesting. And for some reason all my "k"s turned to "d"s. Couldn't be klutzy fingers, I'm sure. Hi Sharon! Your book sounds like fun. I'll look for it. I've spent the day with wonderful ladies as we train them to run for public office. It was very empowering. Especially for them, I hope. I can't digest sugar so I'd have to substitute but the pie sounds wonderful! I love custard and this sounds even easier than the water bath and the straining, etc. One learns the bestest things at JRW! Sharon - here you go! I used to have an official recipe but here's what I did yesterday. I peeled and seeded two large cucumbers, put them in the food processor with a half cup of stock, 2T fresh dill, a few splashes of hot sauce, and a few splashes of Worcestershire sauce. Blended them up and added about a pint of buttermilk. Chiledl and served with a dollop of sour cream. SO refreshing. 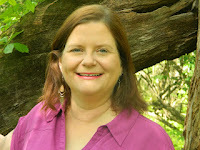 Linda, I hope you like the pie (and my novel!) By the way, captcha is also making my eyes cross. Marianne, sounds like you had a wonderful day! Hope the pie is a good treat after a day of good work. Edith, thanks for sharing your recipe. It does sound so refreshing... and since our cool snap seems to have disappeared for a while where I live (and we have cucumbers in abundance), I will give it a try! Why cell phones are like cigarettes. The Scoop on a New Site!